Since Chinese New Year is coming up, a tradition that my family follows is cutting our hair before the new year. I thought it would be fun to show y'all how I cut my own hair. I've been using this method for as long as I can remember, and I really like the outcome. 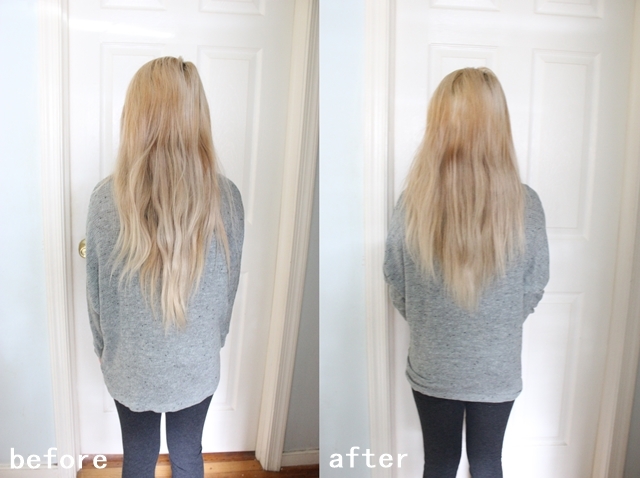 It's pretty much fail proof, and it's how I get to keep the length of my hair and get rid of some split ends and weight. Also, it's really low maintenance because with all the different layers, I can just wake up with really nice, effortless waves. This time I decided to cut off about three inches. If you guys want to see how it's done, please watch the video below! Don't forget to LIKE, COMMENT, and/or SUBSCRIBE! You have so much hair. And it grew quickly too considering it was short not too long ago. I'm starting to think I should get used to cutting my own hair as well. More often than not, I leave a salon unsatisfied with my haircut. Lol, it's been like two years since I last had the bob-cut and that was the only time I had ever cut my hair at a salon. Since that was the only time I ever went, I can't really compare because my experience went quite well. Cutting your own hair can be a two way streak imo... It does eliminate unsatifaction of other people since if you mess up, you only have yourself to blame haha. But then again, if you mess up, you ONLY have yourself to blame.